The Celtic’s used a writing system called Ogham or sometimes spelled Ogma which dates hundreds of years BCE (Before the Current Era). Most of the time the credit for the alphabets origins are given to the Druid Priests. As only they could read the meanings of the “Ogham Staves” when they were thrown. 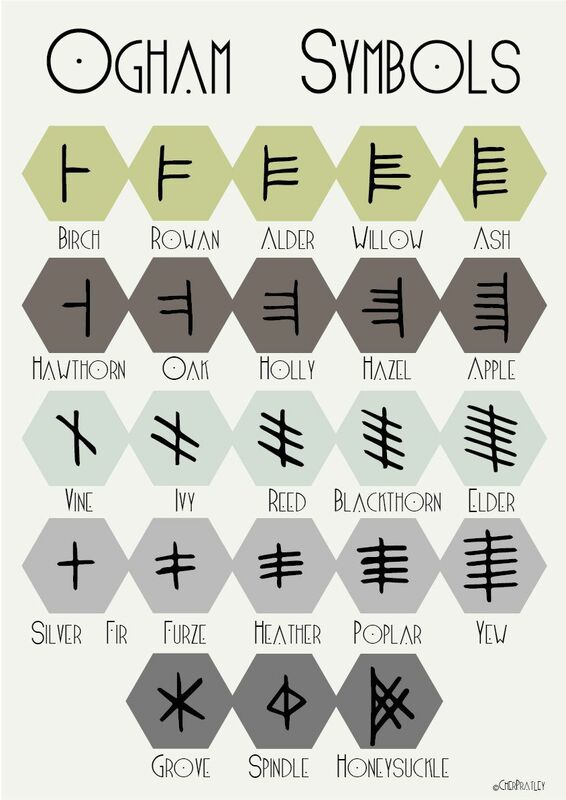 The Ogham alphabet consists of 25 different symbols which in turn are associated with specific trees or shrubs. The alphabet can either be written vertically or horizontally but the actual marking for the symbol or letter always appears on the same side and location on the straight line that all the symbols/letter stem off of. The Ogham Staves are used as a form of divination. You can use them the same as you would Runes or Tarot cards. To make Ogham Staves they should be craved into a piece of the tree or shrub they are associated with, all 25 pieces of wood should be the exact same length and when possible diameter. How to use the staves is simple you hold them together in both hands, and roll them on your palms while you ask your question of them (be sure to keep your question clear and concise). When you feel it is time and with the question firmly fixed in your mind you let the staves drop from about 4 to 6 inches off the ground. Those closest to you are the future, the middle ones are for the present, and those furthest away are read for the past which led up to the present which will lead into the future. This is the first in a series of posts on the use and meanings of the Ogham alphabet and staves. I will also be posting an Ogham Symbol for the day starting Monday, August 13th both on here and on WOTC. Posted on August 2, 2018 by Lady BeltanePosted in Articles, Divination, Ogham, The DruidsTagged Celtic, Divination, Druid, Ogham alphabet, Ogham Staves, Witchcraft. Merry meet brothers and sisters. Since I no longer classify myself as pure Wiccan and as my pagan spiritual path encompasses other traditions as well, I feel it is time I step away from only posting things based upon Wiccan tradition. The reason for this is so I and my site can introduce other types of pagan spirituality both from modern and ancient times to those who take lessons from me will have a broader range of what pagans and witches can believe in. Also for anyone interested in learning more about different pagan spiritual paths. This came from http://dictionary.reference.com/browse/pagan If you want to know the origins or other information on the word just click on the link. You may find other definitions for the word pagan in different dictionaries, but this is the definition that I have been taught. If there is an area of interest that I don’t post on and you would like me to please let me know and I will see what I can do. 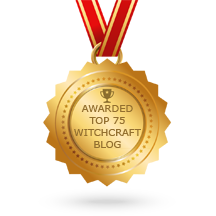 I won’t be posting daily horoscopes, runes, tarot cards or the other types of daily posts as seen on Witches of The Craft as Lady of the Abyss and her staff do a fantastic job covering those areas. Every folk group has special traditions with regard to magical practice. To the contrary of trends in modern occultism these traditions are not merely windaw dressing on a universal pattern- the differences reflect real and often profound variations between and among traditions. In studying the Celtic traditions of magic certain unique themes occur which are worth pointing out. These themes help distinguish the Celtic traditions from others. If these themes are found inspiring, then the Celtic tradition is a place to explore them further in the environment of ideas which will lead the seeker to deeper findings along the same path. NO other tradition, with the possible exception of the Slavic, is more focused on the human head (and brain) as the seat of magical powers. When one reads the ancient Irish tales one becomes aware of the degree to which the Celts were head hunters. The reason for this is that their magical physiology holds that the head is the seat of power- an honour. This a warrior attempts to steal from an enemy, and assume himself. Hence the ancient Irish were known to eat a portion of a slain enemy’s brain. The head-hunting practices of Irish fighters continued until the mid-19th century, when early Irish immigrants to North America fighting for the Confederacy were known to have hunted the heads of Union soldiers. (See Professor Grady McWhiney’s book Attack and Die.) Also, however, the heads of one’s own ancestors were to be preserved- and displayed at certain holy times. This “cult of the head” is conspicuous at the Celtic temple at Roquepertuse, which contains stone pillars with niches into which the heads of ancestral heroes were placed. This is without doubt also the ultimate origin of the “jack-o-lantern”the carved cephalomorphic gourd familiar in Halloween customs. It is thought by many that the myth of the head of Mimir, which informs the God Odin, is ultimately a Celtic influence. Mimir means memory- and the exercise of memory in and of itself seems to have a magical importance for the Celts. This is a trait they share with the Aryans of the east. The Druidic training program is said to have consisted of twenty years of learning lore by memory. The exercise of this faculty for its own sake, beyond the ready access to information it provides to the subject is something the Celts seem to have especially appreciated. 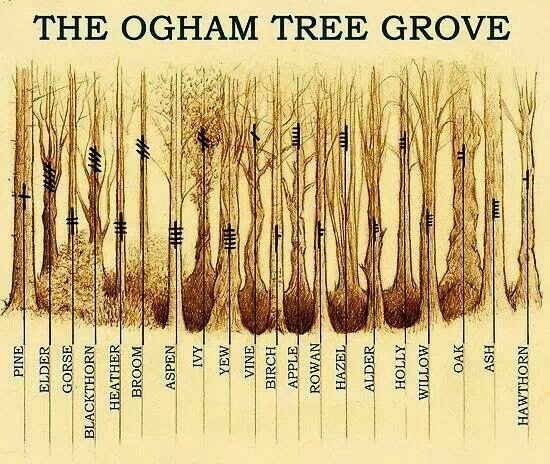 the ogham system was most certainly one of the practical tools used in this exercise. Poems and stories were among the things memorized. No other traditional lore seems to have a better or more realistic understanding of the magical experience of inter-dimensionality. The regular interaction with the “otherworld” or the “underworld” is a common feature of Irish and Welsh mythic tales as well as folktales from the Celtic cultures. It is from these that the Arthurian legends inherit their “inter-dimensional” features- such as the Grail Castle appearing and disappearing from various “places” at various “times.” This mutual effect of one “world” upon another is reflected in the very grammar of the Celtic languages wherein one word, when juxtaposed to another for a specific grarnrnatical, syntactic and semantic purpose, will cause the latter word to change its shape (sound). For example the Irish word for “cow” is bo, and the word for “white” is ban, but to say “a white cow,” one must say, or write, bo bhan [pron. boh-vawn]. By the use of words – of poetry – the fili(“master poets”) were able to cause physical changes in the bodies of other individuals. This was done with “satire.” The fact that satirical verse has a patently humorous aspect is the essentially Celtic dimension here. Because Celtic kings could not rule if they suffered any physical defect or blemish, all the satirists had to do in order to depose a king was to, by means of a satirical verse, raise boils on his face. All would see the blemish, and his rule would be at an end. Fasting for “spiritual” reasons is familiar throughout the world. To fast-really to starve the body – in order to make subjective changes is obvious. Celtic magicians could, however, “fast on” their enemies as an operative curse formula. By starving himself to near death the sorcerer can actually cause the death of his enemy. This technique is something entirely different from, though apparently related to, the use of fasting as a way to “protest” supposed injustices. This latter technique works only through the medium of information in the context of public morality, whereas the operative fasting of the ancient Celtic magicians worked in a mysterious way. Again “taboos” – negative prohibitions against certain behaviours– and other behavioural sanctions are familiar in most religious traditions. The Irish gess [pron. gaysh] (plural gessa) is most often translated something like “taboo.” It is, however, something quite different from what is usually meant by this word. A gess, although usually a prohibition against behaviour, actually provides power to the individual. The more gessa that have been “put on” a person (usually by a sorcerer) the more danger recipients live with- but also the more power recipients have at their disposal. To have a gess is both a curse and a boon simultaneously. Posted on April 28, 2014 by ladyoftheabyssPosted in Articles, Celtic Magick, Daily PostsTagged Celtic, Celtic Magic, Celtic tradition, Celtic traditions, Traditions. Posted on February 19, 2014 by ladyoftheabyssPosted in Articles, Celtic Magick, Daily PostsTagged Ash Tree, Business Services, Celtic, Celtic Calendar, Celtic Tree Month, Celts, free thinkers, Freethought, New Year, Signage, Willow. Those born under the Celtic tree astrology sign of the Ash are free thinkers. Imaginative intuitive, and naturally artistic, you see the world in water-color purity. You have a tendency to moody and withdrawn at times, but that’s only because your inner landscape is in constant motion. You are in touch with your muse, and you are easily inspired by nature. Likewise, you inspire all that you associates with and people see out for your enchanting personality. Art, writing (especially poetry), science and theology (spiritual matters) are areas that strongly interest you. Others may think you are reclusive, but in all honesty, you are simply immersed in your own world of fantastic vision and desire. You are in a constant state of self-renewal and you rarely place a value on what others think about you. Ash signs partners well with Willow and Reed. Posted on February 9, 2014 by ladyoftheabyssPosted in Articles, Daily PostsTagged Ash, Ash Tree, Astrology, Business, Business Services, Celtic, free thinkers, Freethought, Signage, Willow. It’s Imbolc, and that’s the Sabbat where many Wiccans and Pagans choose to honor the Celtic goddess Brighid, in her many aspects. However, other than having a giant statue of Brighid on your altar, there are a number of ways you can set up for the season. Depending on how much space you have, you can try some or even all of these ideas — obviously, someone using a bookshelf as an altar will have less flexibility than someone using a table, but use what calls to you most. 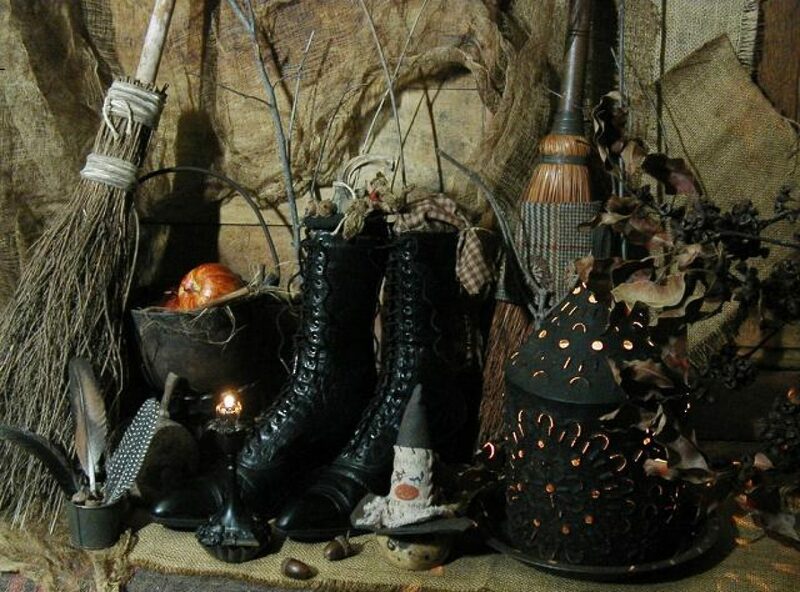 Altar decor should reflect the theme of the Sabbat. Because Imbolc is a harbinger of spring, any plants that symbolize the new growth are appropriate. Add potted bulbs — don’t worry if they’re blooming yet — and spring flowers such as forsythia, crocus, daffodils, and snowdrops. If you don’t have much luck planting bulbs, think about making a Brighid’s crown as a centerpiece — it combines flowers and candles together. Brighid is, after all, a goddess of the Celtic peoples, so it’s always appropriate to add some sort of Celtic design to your altar. Consider adding a Brighid’s cross6 or any other item incoporating Celtic knotwork. If you happen to have a Celtic cross, don’t worry about the fact that it’s also a Christian symbol — if it feels right on your altar, go ahead and add it. Posted on January 31, 2014 by ladyoftheabyssPosted in Articles, Daily Posts, The SabbatsTagged Brighid, Brigid, Celtic, Celtic cross, Celtic goddess Brighid, Celtic polytheism, Celts, Imbolc, Patti Wigington, Wheel of the Year, Wicca. Oimelc – Imbolc in the Saxon – marks the first stirring of life in the earth. The Yule season originally ended at Oimelc. But with increasing organization and industrialization, increasing demands for labor and production, the holiday kept shrinking, first to the two weeks ending at Twelfth Night, then to a single week ending at New Year’s, then to a single day. dormant life to new growth. being make ready for Spring. triple goddess and mother of Dagda. Her symbol is the white swan. A Roman feast of Bacchus and Ceres. The Lupercalia, a feast of Pan. The Nephelim or Titans, those offspring of human-divine unions said to have ruled Atlantis. Grannus, a mysterious Celtic god whom the Romans identified with Apollo. candles for household use throughout the year. Twelfth Night, Candlemas and Shrove Tuesday (Mardi Gras, Carnival). The customs of all three feasts are derived from Oimelc, with at most a thin Xian gloss. sometime made of straw, sometimes resembling a snowman, is drowned, burnt or in once case, stuffed with fireworks and exploded. They symbol of Montreal’s Winter Carnival is the giant figure of Bonhomme di Neige (snowman). Groundhog Day, Chinese New Year and St. Valentine’s Day customs. The French provinces are so rich in Oimelc customs they cannot be listed here. Refer to “The Golden Bough”. and the little heap under the stairs!”. everyone politely imitates the ruler’s example. indicated. Go carnival, balloons and confetti. winter sports, ice and snow sculpture. white, at the Northeast. The fire may be composed all or in part of Yule greens. Go in a torchlight procession to the Circle. Include a stamping dance, possibly beating the ground with sticks, before the Invocation. The invocation may end with the calling of Hertha, a Teutonic goddess of the earth and the hearth. Call her name three times and at each call beat on the ground three times with the palms of both hands. A figure representing Winter should be burned in the fire. Communion may consist of Sabbat Cakes or a Twelfth Night cake (there are many traditional recipes) and cider or wassail. A procession may leave the Circle for a time to wassail a nearby orchard. Couples may leap the bonfire. Supplies of candles brought by the coveners are blessed. Boys puberty rites may be celebrated. These usually include mock plowing by the boys. Close the Circle and go indoors for the feast. Posted on January 30, 2014 by ladyoftheabyssPosted in Articles, Daily Posts, The SabbatsTagged Celtic, Chinese New Year, Golden Bough, Imbolc, Oimelc, Tradition, Twelfth Night, Yule. brew designed to attune your body and spirit to the occasion. the first new moon closest to Samhain or the one just before Yule. Posted on January 22, 2014 by ladyoftheabyssPosted in Articles, Daily Posts, DivinationTagged Astronomy, Celtic, Celtic Paganism, Celtic polytheism, Earth, Edain, Moon, New moon, Planets.